Both have been studying German for more than a year now and they love the language. 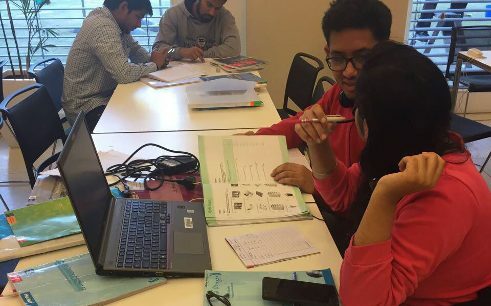 Dharamveer is studying German because he really enjoys the language, while Arjun hopes to use German and work for a German Bank or German diplomatic agency in the future. Both have been studying the language for more than 6 months now. 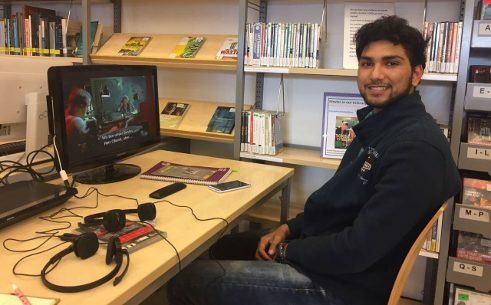 Saumya wants to study in Germany and hopes knowing the language will give him more opportunities in Germany and also a chance to interact with locals where he stays. 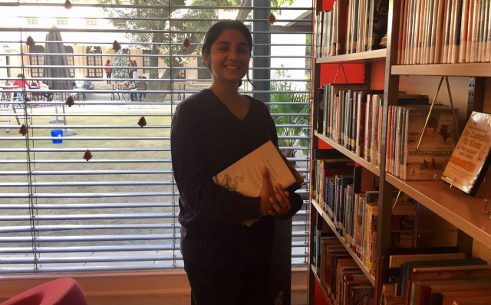 Akshita, on the other hand, is inspired by her teachers at the Goethe Institut and wishes to eventually teach German at a school or college. She has been studying German for a year and eventually would like to study in Germany and do an MBA there. 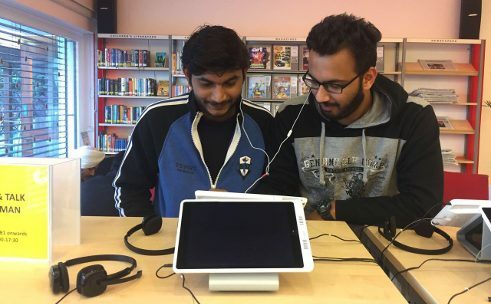 Anmol is watching a German film and believes movies are the best way to bridge the language gap since Indians love movies and it’s the ideal way to learn German. He has ben studying German for 6 months now and wishes to carry out his higher studies in Germany, and work in Germany for a few years. 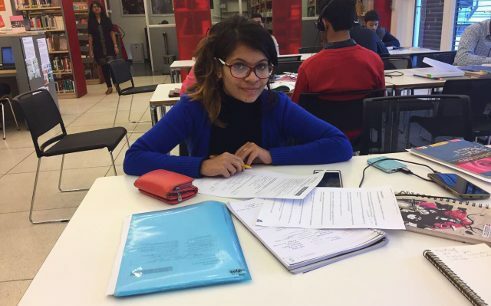 Kashish has ben studying German for more than a year and eventually wishes to work as a translator. 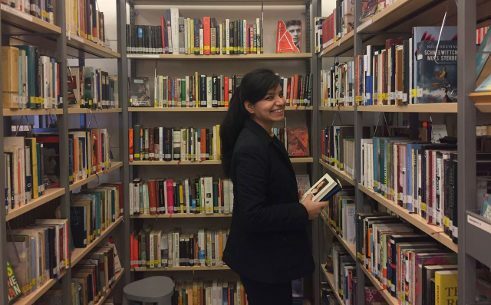 Palak is completing 6 months of studying German, finds the library a really happy place to study a ‘beautiful language’ and her desire to study further comes from knowing more about the language, the cultural origins or connections of certain words and phrases in German and about the cultural intricacies and history that any language reflects and carries with it.